This gorgeous wood looks a lot like oak but is highly sustainable. After 30 years of latex production, rubber trees must be replaced with new ones. Instead of burning them, they’re sent to Nookdesk where they are converted into desktops with a dense, warm grain that’s protected by a solvent-free and UV-cured durable finish. All Nookdesk desktops are made from sustainable recycled and reclaimed wood and finished with a durable NookGuard coating that is fingerprint and smudge resistant. 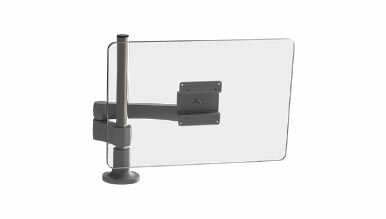 The desktops are machined to exact specifications that offer you smooth comfort edges and soft radius corners and come standard with Smart Pass—the oversized 3” x 6” cable pass-thru. Our most popular standing desk, the Nookdesk raised the bar with best-in-class performance, stylish design, and a smart expandable frame. With a 50” maximum height, Nookdesk is perfect for everyone. 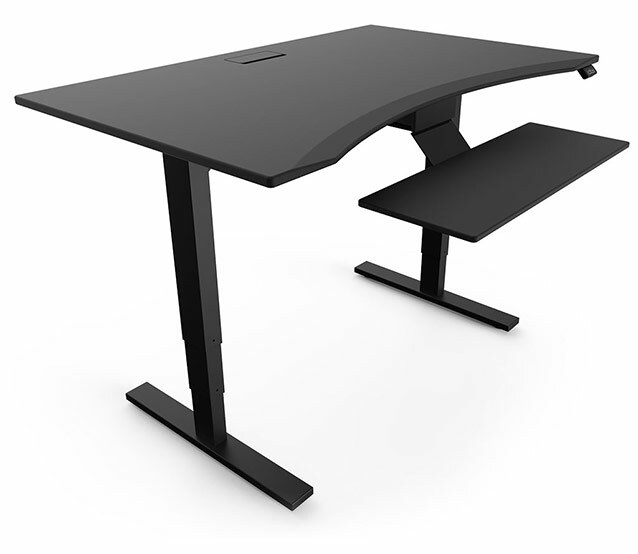 Nookdesk also has the highest weight capacity in its class. All at the unbeatable price starting at just $599. Our latest innovation, the Nookdesk Studio L™ model has raised the bar once again, combining the best-in-class Nookdesk performance, design and expandable frame with our newly designed L-shape desktops with Ergo Edge™. Available in both left or right return variations. The all-new Low Nook allow you to keep your most important tools close without taking up valuable space on your desktop. Low Nook adds up to a massive 40% of quick-access space right below your desktop. Store your favorite electronics, tools, and supplies within arm's reach while maintaining the clean, uncluttered look of your desktop. The all-new High Nook second space for your desktop perfectly coordinates with with Nook Desk while increasing the surface area of your desktop by a remarkable 40%. This massive full width platform positions your monitor at the ideal ergonomic height, and is large enough to accommodate many other accessories like speakers while freeing up valuable desktop space. High Nook features an oversized grommet hole to keep all your cables under control and neatly organized. The standard height controller can be mounted on either the right or left side of your desk and offers a simple two button interface to adjust your Nookdesk to your preferred height setting. The Nookdesk programmable controller can be mounted on either the right or left side of your desk and offers a LED height readout and four programmable memory buttons to adjust Nookdesk to your preferred settings at the touch of a button. The sliding Ergo Keyboard Platform is designed to help you achieve ergonomist’s recommended position whether you are standing or sitting—monitor just below eye level and keyboard positioned so your elbows make a 90° angle. 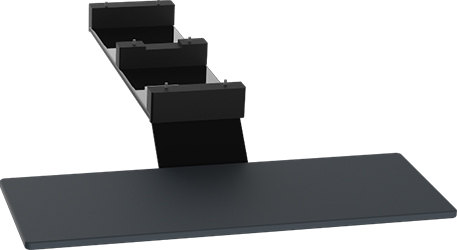 The keyboard platform is made from durable, rigid steel and finished in NookGuard, to perfectly match your desktop. The modern three piece Soundsticks III. A 2.1 channel multimedia system featuring room-filling sound with 8 full-range transducers and a 6” downward-firing subwoofer that can be mounted on the right or left underside of Nookdesk. 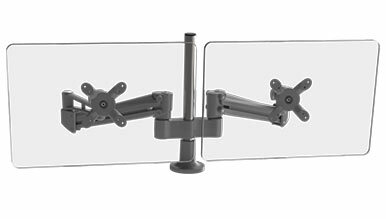 The Nooktech Monitor Arm supports one display and can be adjusted and locked at heights up to 20.4”, with a rotation angle of 180°. Save desk and floor space for a clean, organized work area. 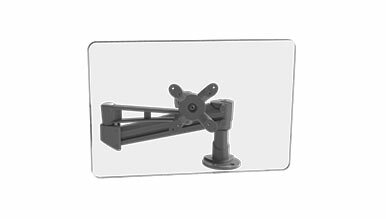 The Nook CPU Mount’s space-saving design easily adjusts to fit most PCs, from 3.25” to 9.25” wide, and swivels 360° to give you convenient access to rear CPU ports. The high-strength all steel construction, available in black, silver or white, keeps your valuable CPU securely attached under the desk and out of the way. Not only is it a great organization tool, but elevating the CPU reduces dust intake and internal contamination, which helps extend the life of your PC. Backed by science, The Nookdesk anti-fatigue standing mat helps you to stand comfortably for long periods while minimizing discomfort and fatigue. The secret to long hours of comfort is a secure, stable footing combined with a unique energizing responsiveness not found in overly soft mats that allow the foot to pronate or supinate unnaturally. The numbers of power, data and phone cords seem to multiply each year. Passing them all through the desktop and keeping them organized can be a real challenge. Simplify your workspace and say goodbye to tangled cables. 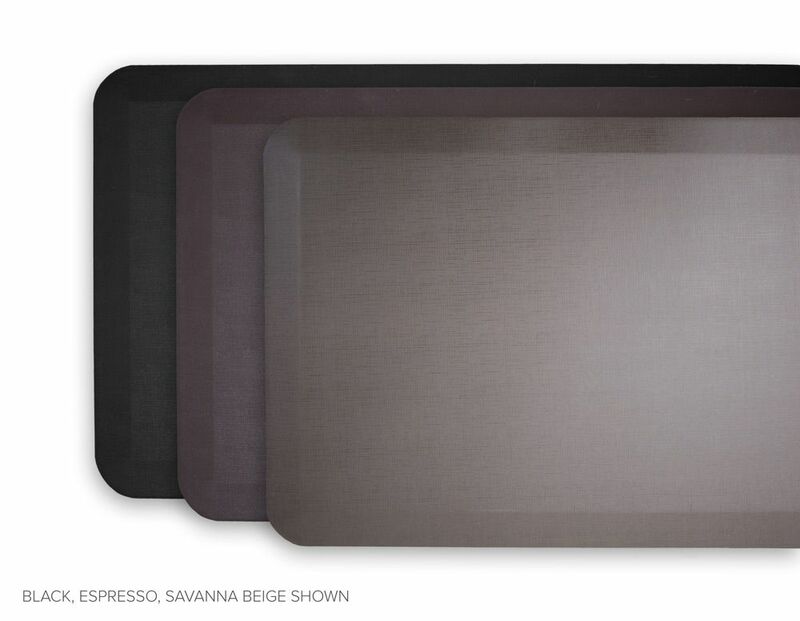 The vanity cover is a must have option for those who like it clean and organized. 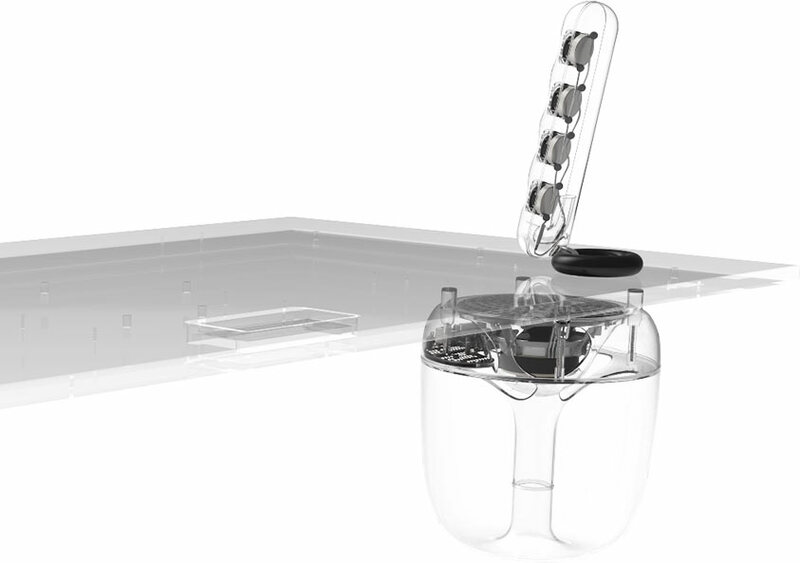 Every cable and wire feeds into a matching raceway that keeps your workspace clutter-free. Each vanity cover is custom-fabricated from steel and then finished to match the Nookdesk steel frame. The custom made cable raceway is as a convenient and tidy compartment for all those cables found on the modern computer system. No modern workstation is complete without Flex Cable Management, the exclusive, high-performance cable management sleeving by Nookdesk. Don't spend hours perfecting your workstation only to see a birds nest of cables and cords escaping from the back of your desk. Flex Cable Management was designed to conquer all cables and hide them neatly out of sight. The expandable, braided sleeving is designed to expand up to 150% of its original size and adjust to any shape for bundling, managing, and protecting one or 20+ wires and cables. Gently push the braided polyethylene monofilament together and it magically expands to 150% of its original size to contain the fast growing bundle of cords and cables found around modern workstations. Commonly used in aerospace, military and automotive applications, the Flex Cable Management is ideal for the modern workstation cable management. Four durable, oversized casters turn your NookDesk into a mobile workstation. 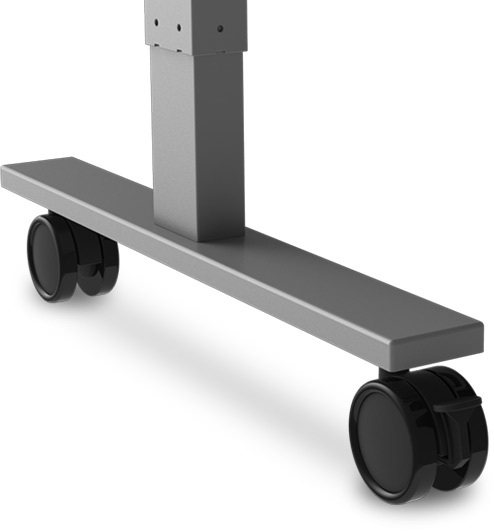 Solid steel axels and soft polyurethane tires ensure smooth, even rolling on all surfaces. Optional Extended Warranty Coverage for an additional 2 or 4 years for 5 or 7 years total. 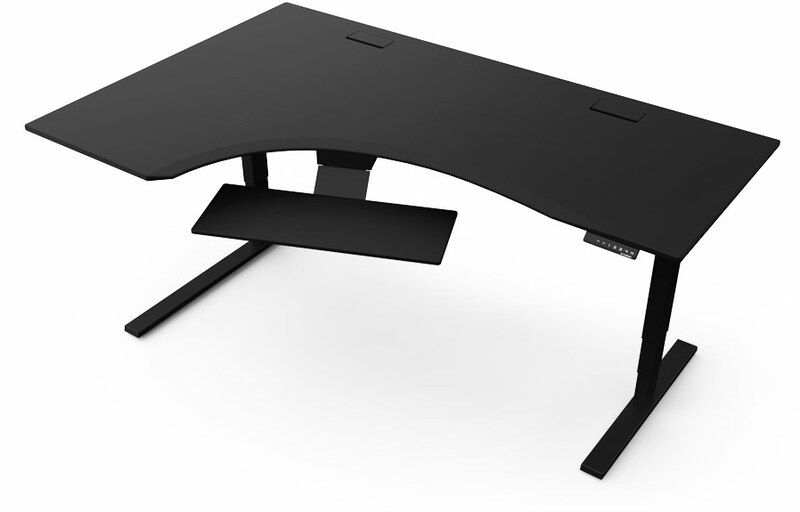 NookDesk ships 48" desks, 60" desks and accessories via Fed Ex. NookDesk will gladly ship products worldwide to most international destinations. The NookDesk Online Store ships within the United States of America and Canada. If you wish to have an NookDesk or any of our products shipped internationally, please use our contact form to obtain a shipping quote. We believe you'll be thrilled with your new NookDesk. We go out of our way to ensure that each NookDesk is designed and built exactly to your specifications. However, we understand that sometimes a product may not fit the space or the needs for whatever reason. In that unlikely event, we invite you to return it. Under our 30-Day Satisfaction Guarantee you can return your undamaged NookDesk with the receipt and packing within 30 days of purchase for a full refund of the purchase price minus any shipping or installation charges. If the NookDesk is returned within the 30-day timeframe, and it is in its original condition, we'll exchange it for either a new desk or a refund based on the original payment method. Prior to shipping your item back to NookDesk, you must call, visit our contact our page to obtain an RGA number. To avoid damage during the return, it is required that you ship any return to NookDesk in its original or equivalent packaging. You must ship any NookDesk product to the address given to you when your RGA number is issued. It is important to write the RGA number on the outside of each box, so we can issue you the credit. At NookDesk, we believe that trust and confidence come from being able to rely on your desk to perform, every day. That’s why your NookDesk and its motors are backed by a 5-year limited warranty. In addition to offering a no-nonsense warranty, we also offer a 30-Day Satisfaction Guarantee. Try NookDesk for 30 days risk free, and in the unlikely event that you are not happy with your NookDesk for whatever reason, we invite you to return it. You can return your undamaged NookDesk for a full refund of the purchase price (minus shipping charges) within 30 days of purchase as long as it is in its original condition with the receipt and packing.